Religious leaders, business owners and government officials will be in attendance to learn more about the tenets and belief systems of Sikhism. Sikhism is one of the newest religions on Earth, founded only 500 years ago in the Punjab region of India. According to the Sikh Coalition, it is the fifth largest monotheistic religion in the world, with 25 million followers around the world and close to 500,000 in the U.S.
Sikhs believe in one god, who is the creator of the universe and of all faiths. They believe all men and women are equal in the eyes of the creator, and that one day the mind will reunite with god after death. Although Sikhs are often identified by their turban, the beliefs and tenets of Sikhism are not widely known in the U.S. The Kaufman Interfaith Institute, WGVU and the Parliament of World Religions are organizing an event called “Meet Your Sikh Neighbor: Path of God & Story of Mind” to help connect members of community with local Sikh families to learn about the Sikhism religion. The community outreach officer, Rishi Makkar, said the event will showcase the diversity of religions in West Michigan, and educate community members on what beliefs Sikhs follow. “The more we learn about each other, the more we realize how much we have in common,” Makkar said. The event will feature speaker Simer Singh, who is a known figure in modern-day Sikhism and a member of the 2018 Parliament of the World’s Religions. “Meet Your Sikh” is one of many Pre-Parliament events being organized across the U.S., Canada and the United Kingdom. According to the Parliament’s website, the events offer “a taste of the Parliament experience” leading up to the conference which will be held in Toronto from Thursday, November 1 to Wednesday, November 7, 2018. Kyle Kooyers, program manager at the Kaufman Interfaith Institute, said also there are many people who haven’t heard of Sikhism, and make assumptions about the faith that aren’t true. 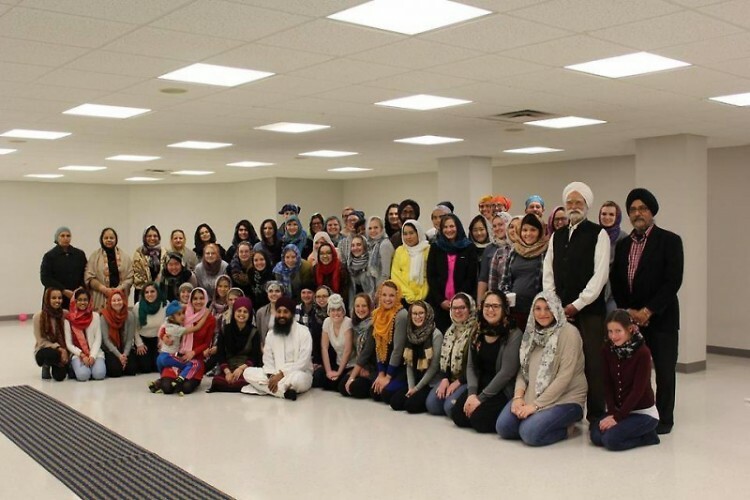 “At the end of the day, we hope people leave having learned about the beauty of the Sikh religion and the wonderful stories and work of our Sikh community in Grand Rapids,” Kooyers said via email. He said for many this will be the first time they will see a Sikh in person, or step foot inside a Sikh Gurdwara - their place of worship. In addition to being toured around the Gurdwara, attendees will be treated to a langar, or a free vegetarian dinner. The event will take place at the Sikh Gurdwara at 8845 Cascade Rd SE on Saturday, January 20, 2018 from 5 p.m. to 8:30 p.m.